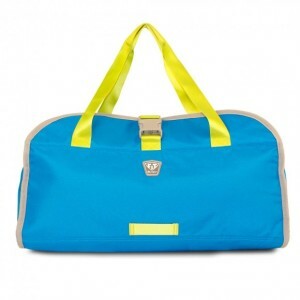 Get creative with this alluring multi-purpose gym bag. 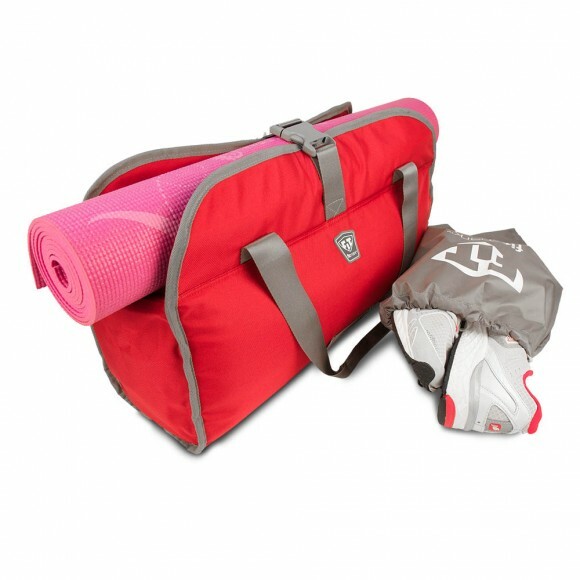 Our all-around awesome Fitmark Namaste Tote gives you options: A high-grade top buckle clamps a yoga mat in, but can also be used for your helmet, gloves, or whatever else you can’t leave home without. 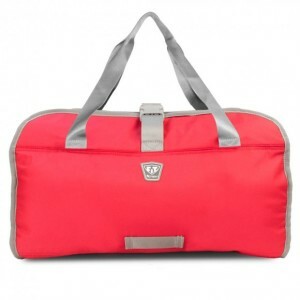 Compartments keep your water cool, your laundry separate, and phone protected. Our Namaste Tote will give you peace of mind — no matter how you use it. 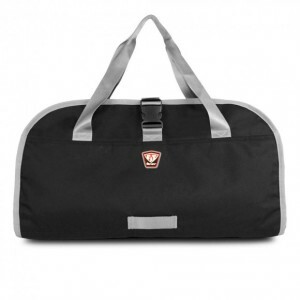 Clean The Fitmark Namaste tote with damp cloth as necessary. Hand wash only. Do not use detergent or bleach. Remove wet items immediately. Line dry. I love this bag but I need more outside pockets..
Good design + high quality + easy to carry = Perfect. Bought the red one for my girlfriend and she loved it. 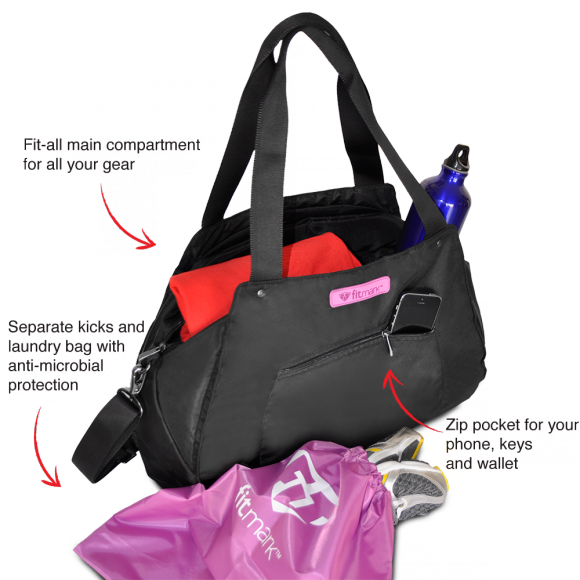 Nice addition to the fitmark line of bags. Fits all my stuff perfectly, feels almost like a nice size duffel bag. They use nice materials too, not sure what it is but feels strong. Awesome. Yoga Mat fits great on top. Not as roomy as I had hoped. I like to keep my keys and phone on the outside but the one outside pocket is too small for both.